Shame. Probably not a topic you would expect from a bookkeeper or accountant, right? Well I talk about shame with my clients. All. Of. The. Time. So many prospective clients of mine come in with their heads hanging down. Even my current clients still call me and start the conversation with “Oh I think I have messed up…” It’s ok. Let’s talk about it. Fix it and move on. You know when you go to the doctor’s office with your weird question at the bottom of your list that you are embarrassed or uncomfortable asking the doctor? I can 100% relate to those patients and doctors. Money is a very private matter. 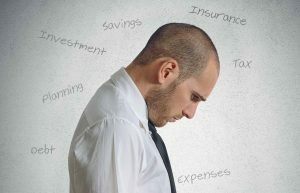 And when you think you messed up, you feel like you are the only one in the world with that bump, rash or equivalently the personal transaction in your business account or mistake that cost you money. Or the unbalanced bank account. Or the financial statements that are wrong. That’s OK. Let’s fix it together. I tell my prospective clients and my current clients all of the time. I am not here to judge. Don’t worry about the overdraft fee, the shoe box of receipts, the personal transaction on your business card. I will be the first to admit I have been there. I have been in a hurry at the store and gave the clerk my business card while buying myself a new pair of jeans. Clearly not a business deduction no matter how I spin that! But please, please don’t hide it. Talk about it, loudly. Bring it up so we can note it, fix it and move on. Like the doctor, let me tell you, I have seen it all. I have had clients bring me their receipts in trash bags. I have seen all kinds of things on a credit card statement – dating subscription services, clothing stores, rent payments, daycare charges, really all kinds of things that are clearly personal. We have the conversation of how we can put a procedure in place to prevent that going forward. I talk about why we do things the way we do them. Our mission statement is “We provide education, financial tools and highly accurate bookkeeping which results in business growth. Period.” Doesn’t say anything about shaming or judging you does it? Of course it doesn’t! But I truly would not do that. Maybe you didn’t know you couldn’t write-off clothes for your industry. Maybe you didn’t know that meals are no longer 100% deductible. That is what I am here for – to educate you! Please never be ashamed of how many years you haven’t reconciled your books. Please never be ashamed of how many overdraft fees you racked up last year. Please never be ashamed – ever! I want to help you. I want you to feel confident about your books. We want your business to grow so you can do what you do best and why you started your business in the first place. When you are ready to ask for help, we will be here for you!